Are Tennis Racket Forehand Grips And Tennis Injuries Related? Does the forehand grip influence the type of wrist injury you can get playing tennis? Is one type of grip vs. another more likely to give you a wrist injury vs. a Tennis Elbow injury or a Golfer’s Elbow injury? 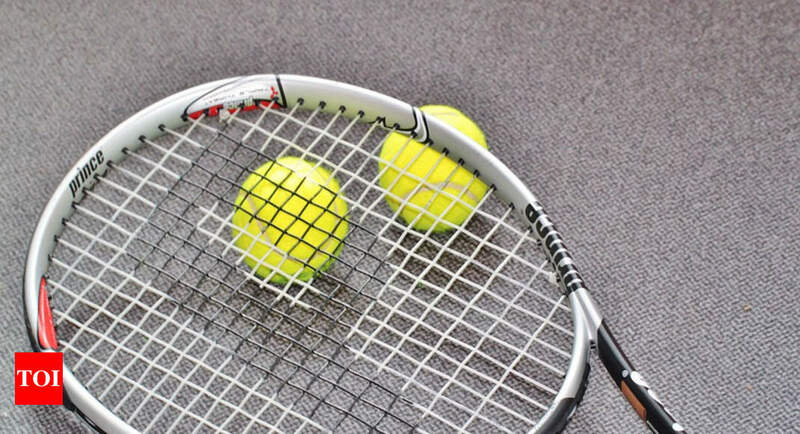 An article in the Times Of India references a preliminary study of Indian tennis players and offers some insight into this question, popular among tennis players and coaches. The study evaluated over 200 tennis players from an Indian tennis academy and found no correlation between the type of tennis racket grip used (including the Eastern Grip, Western Grip and Semi-Western Grip) and elbow or shoulder pain. As one would expect, Tennis Elbow is cited in the article as the #1 injury suffered by tennis players – Curiously, though, the only injuries found among the tennis players in the study, were wrist injuries! I will point out that wrist injuries in tennis players often involve the ‘insertion’ tendons of the Extensor Carpi Radialis muscle group, one of which (the Radialis Brevis / ECRB) is the “key” causal muscle most often found in Tennis Elbow! However, it’s the ‘origin’ tendon of that same muscle (origin being at the other end, where the muscle “originates” at the outer elbow / Lateral Epicondyle) which is breaking down and causing pain in the case of Tennis Elbow. What exactly IS Tennis Elbow, anyway? What are the symptoms? And how is it diagnosed? Not sure if you have an injury – or what kind? Do Golfers Get Tennis Elbow? Tennis Elbow 101 is a free video intro course on Tennis and Golfer’s Elbow: Test, assess and diagnose yourself, learn more about the real cause and true nature of your injury – And discover a better treatment strategy – The 1st step to treating and beating it is understanding it! Why Don’t Pros Get Tennis Elbow?… Or Do They? About Tennis Elbow: What Kind Of Injury Is It? Is Tennis Elbow Tendonitis Or TendinOSIS?